Explore historical cities Kiev, Odessa and Lviv and scenic lakes, waterfalls and mountains. And of course a trip to Chernobyl's eerie exclusion zone is a must for photographers. Investigate abandoned fairgrounds and supermarkets for a unique and moving experience. Situated at the cross-roads of Europe and Asia, Ukraine is a vast and sprawling territory dominated by hilly plateaux and grassy steppes. 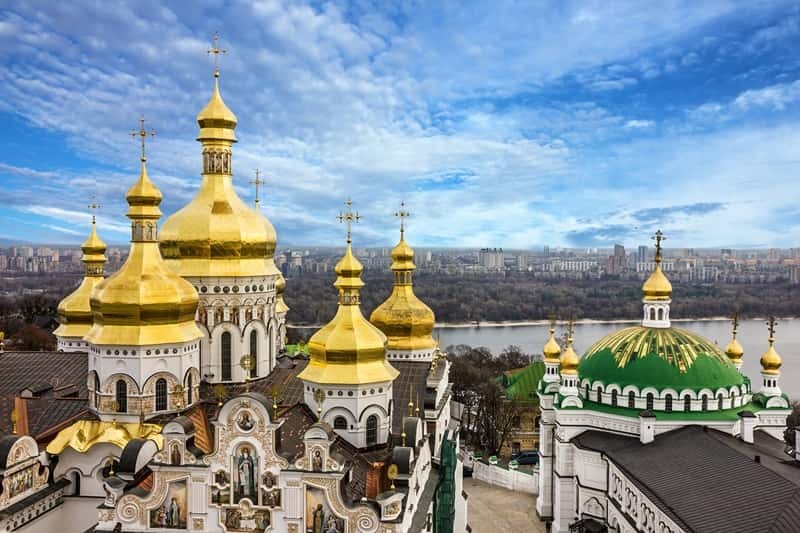 Its main river is the Dnieper, which flows through Russia and Belarus before emptying into the Black Sea on Ukraine’s southern coast; a popular destination with Russian holiday-makers, thanks to its sandy beaches and powerful historic heritage. The country’s highest peaks are the Carpathian Mountains, which frame Ukraine in the west with a succession of alternately lush and desolate landscapes making this great hiking country and rich in rare fauna. Ukraine traces its roots to the 10th century, when Vikings forged the Kingdom of Kievan Rus – the first, largest and most important East Slavic polity at that time. It flourished through the middle ages as a centre of learning and Christianity, but after a series of devastating Mongol invasions in the 13th century, it was annexed by Poland, Lithuania and Russia. For centuries, the territories corresponding to western Ukraine experienced considerable Central European influence, including a period under the opulent Austro-Hungarian Empire. Meanwhile, eastern Ukraine was influenced by Russian thought and religious traditions. As a founding member of the USSR, communism has had a profound impact on Ukraine, especially in the east, a region still rooted in heavy industry and Soviet-style politics. The collapse of the Eastern Bloc has been both a blessing and a curse for the country. Whilst it has finally emerged as a free and independent nation, the transition to a free market economy has been accompanied by protracted periods of recession. Ukraine remains one of the poorest countries on the continent, but fortunately this has done nothing to dim its friendliness and hospitality.